The 1822 visit of King George IV to Scotland was the first visit of a reigning monarch to Scotland in nearly 200 years. The visit was planned to cover his political troubles and unrest at Court and was commemorated in the painting by Thomas Butterworth ( 1768 - 1842). 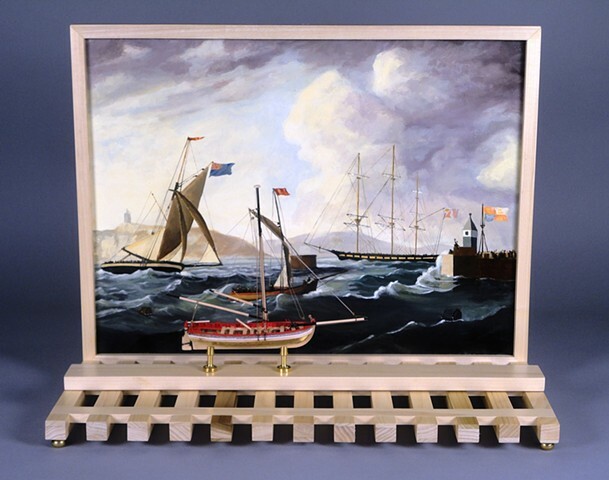 The model is an accurate representation of an 18th Century longboat that would have brought the King ashore, as in the painting. The hull planking is replaced with brass screen making it unseaworthy.